How Useful Are Facebook ‘Likes’? 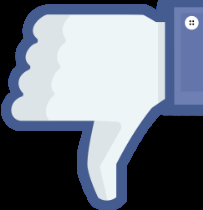 The BBC recently conducted an investigation, the findings of which suggest that ‘Like’s on Facebook do not generate any substantial benefit to advertisers. While companies spend a very large amount of money advertising on Facebook, the BBC study suggests that the gains from it are not much. It is believed that a large number of profiles on Facebook are fake, and are created by spammers to spread spam. If a company advertising on Facebook, receives ‘Like’s from these fake profiles, it is not going to generate much revenue from the ad campaign. However, Graham Cluley of the security firm Sophos said that this was a major problem that was being downplayed by Facebook, as that was in their best interest. Michael Tinmouth, a social media marketing consultant, who has been running ad campaigns for several small businesses says, that though the results looked encouraging at first, the majority of ‘Like’s came from places like Egypt and Philippines though the ads were targeted at audiences all over the world. Also, the profile history of several users seemed unbelievable. A possible explanation is that users in developing countries are more likely to ‘Like’ brands than users in Europe and the USA. Alternatively, these advertisers and the Facebook Pages that were surveyed by the BBC also might have bought into services that sell Facebook Likes. Most places that sell Likes outright should be looked at carefully. Costs per click on Facebook often range between £0.30 to £0.75. This means, that a business would have to pay £3,000 just to drive 10,000 visitors to their Facebook Page. Even if 100% of those visitors converted into fans – which in itself is impossible! – the cost of such a campaign would still be three times or more than the price advertised by networks selling Likes. Social commerce revenue could reach $30 billion by 2015, say analysts fromSocialMediadd. Advertisers will spend $7.72 billion on social networks – with nearly half of that money coming from the U.S., led by Facebook, which will take in about 70 percent of all social networking spend in the U.S, according to AdAge. Advertisers that target their campaigns sensibly will often find that users who ‘Like’ their pages are much more willing to engage with their brand and are interested in what they’re offering.